Bad news for any PSP owners looking to upgrade: Sony will not have UMB conversion for the Go. This is after months of speculation that a conversion format would be available for the download-exclusive PSP. The Go, which will be the fourth PSP model to be released, is unique due to not having a disk drive which is replaced instead plays digital files that are stored in the 16 GB internal memory (which previous incarnations did not have). News of this already has garnered a lot of negative feed back from the game, as the Go is already priced at $249, which is about 50 bucks cheaper than a PS3 and 50 bucks more expensive than a Wii (come Sunday). The hate flames continued to burn stateside, as it was announced that the “PSP Go Rewards” (which would allow anyone who has at least one UMD to get 3 games free to download) will only be available to Europe. Though, the rewards itself are only consisted of 17 titles to choose from. 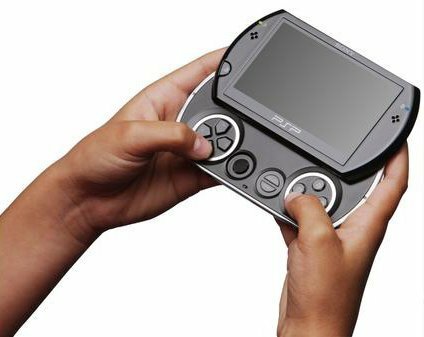 While the GO may be the wave of the future in terms of handheld gaming, it may take a significant hit due to these issues, and be another system that was just put out at the wrong time. Is the Go really worth it? This entry was posted	on Saturday, September 26th, 2009 at 2:47 AM	and is filed under Games, News. You can follow any responses to this entry through the RSS 2.0 feed. You can leave a response, or trackback from your own site.